Pablo Mayor’s Folklore Urbano Quintet, perform repertoire from the latest “El Barrio Project”, a cross-cultural meeting of salsa and Colombian rhythms. 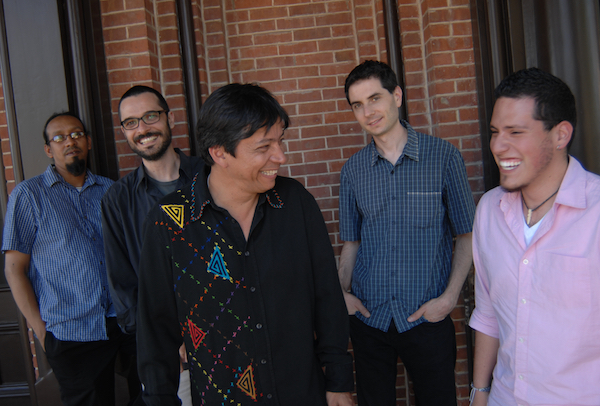 Pablo Mayor, whose powerhouse orchestra has redefined modern Colombian music in the last decade, crosses cultural boundaries with his latest “El Barrio Project,” which takes his renowned Colombian band into the heart of NYC’s barrios (ethnic neighborhoods). Weaving a theatrical narrative, “El Barrio Project” presents a musical ensemble (Folklore Urbano Orchestra) and a dance company (Pajarillo Pinta’o dance company) as a metaphor for a NYC community with its diverse mash-up of peoples, and the real-life relationships that develop, exploring themes of culture, immigration, tradition, and love through music and dance. Pablo Mayor collaborates with choreographer Daniel Fetecua (formerly of the Limon company, director of Pajarillo Pinta’o), and other composers in this project, with theatrical direction by German Jaramillo of ID Studio Theater. The production is high-energy dancing and modern choreographies based on Colombian rhythms and salsa, theatrical drama, and a cooking repertoire of Pablo Mayor’s renowned Colombian arrangements and compositions, highlighting his latest collaborative work. No Replies to "Pablo Mayor's Folklore Urbano Quintet"